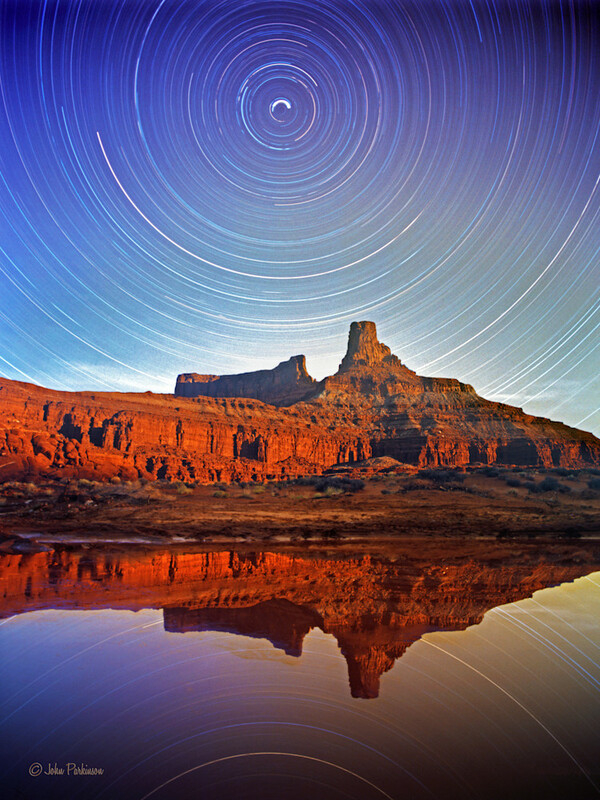 Reflecting Star Trails in Canyonlands National Park, Utah. This double exposure of an unnamed butte in Canyonlands National Park also takes advantage of a small snow-melt puddle that was only there for a day or two. With my camera placed very close to the water it visually turned the small puddle into a large lake. I'd never tried to get star trails as a reflection before but was quite pleased with how this one turned out.